Slats are carefully spaced to maximize capacity. 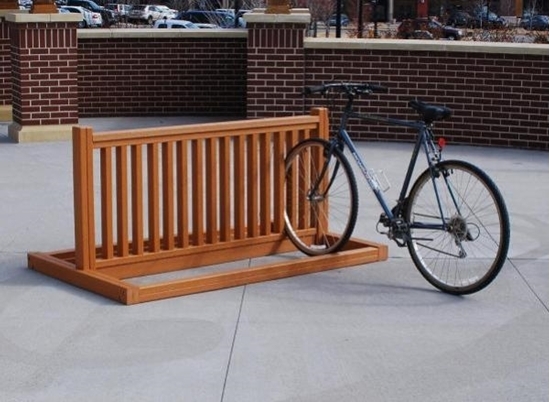 Allows for the most common bike locks on the market. Available in standard colors of green and cedar.